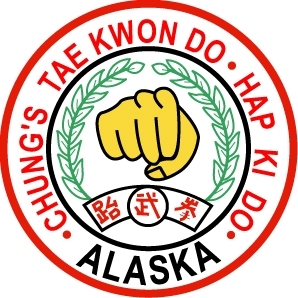 Have a question for Master Ron about Chung's, Tae Kwon Do, or Hap Ki Do? Do I have to be in shape to take Tae Kwon Do/Hap Ki Do? How long do the classes typically last? What is the frequency of classes that I would attend each week? Can I request private lessons? What are Chung and Hong in taekwondo? What should I do if I want to observe or try out a Tae Kwon Do class? If you have been in Tae Kwon Do for more than 30 years, why are you only a 5th degree? With all of those injuries, why do you still do Tae Kwon Do? Does it hurt when you break bricks? Absolutely not. It is our job to slowly and gradually get you into shape. Classes typically last 30-45 minutes for children depending on their age and 60 minutes for adults. It is recommended that most beginning children and adult students attend two classes per week. Innitially, it is not unusual for adults to feel some of the effects from newly training in a martial arts specific exercise. Two classes a week can give the body adequate time to recover. Absolutely. You may schedule a private session with a specific instructor to accompany your current Tae Kwon Do training or request a specific private program in which you are exclusively instructed each week. In Korean, Chung is the color Blue and Hong is the color Red! You will hear these when ever you attend a tournament as that is how the competitors are called to the ring. In Korean we call it a Do Jang. The entire Do Jang is approximately 3500 sq. ft. and of that, over 2500 sq. ft. is padded workout space. Just give us a call at (907) 746-7665 or send us an email. We will be glad to make an appointment for you to experience one week of our exiciting classes. However, anyone under the age of 18 or still under the guidance of a parent or legal guardian must be accompanied by them when arriving to a trial class. Yes. we are proud to support the military in their service to our country. 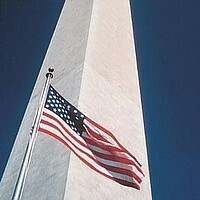 All active duty members of the military receive a 20% discount off of the currently posted rates. In addition, I am waiving 50% of the monthly lesson fee for any direct dependent of a deployed member of the armed forces until they return. Severed left index finger just below the top knuckle - It grew back! Torn (OK, shredded) ACL, MCL, and Miniscus - This one took surgery to rebuild the ACL. It seems the other two healed by time I had surgery. Yet, in all fairness, it was quite extensive surgery and I did take two weeks off before resuming my teaching. Quite simply, because I truly love this sport! I do not need to join a team or league to participate, no special exercise machines needed. It lets me challenge myself to learn and grow in the sport. No, when done properly it does not. Self-confidence and belief in your own abilities make it possible to overcome all obstacles.